Tom is a photographer with a growing reputation. 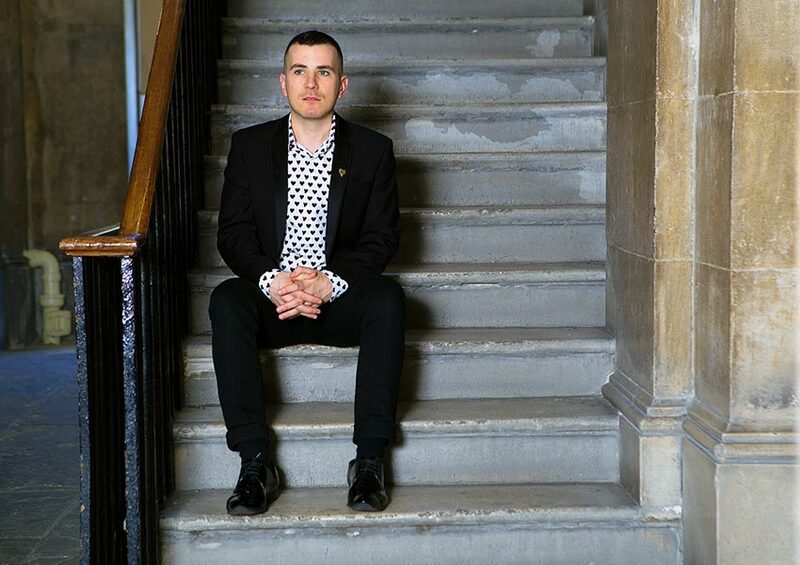 His critically acclaimed Outcome project has transformed him into a highly effective campaigner and something of a superstar in the LGBT community. Outcome is a photography exhibition featuring portraits of LGBT people holding a picture of themselves as children. It celebrates all LGBT people, known and unknown. “I wanted to break down stereotypes of what an LGBT person looks like,” Tom explains. “Each participant holds a photo of their younger selves, which sends out a positive message to those coming to terms with their sexuality or identity. Tom drew on his own fear of coming out. When he received total love and support from his family and friends, he realised his fears were unfounded. He doesn’t want others to hold themselves back. From small beginnings in 2014, the project has grown beyond Tom’s wildest dreams. 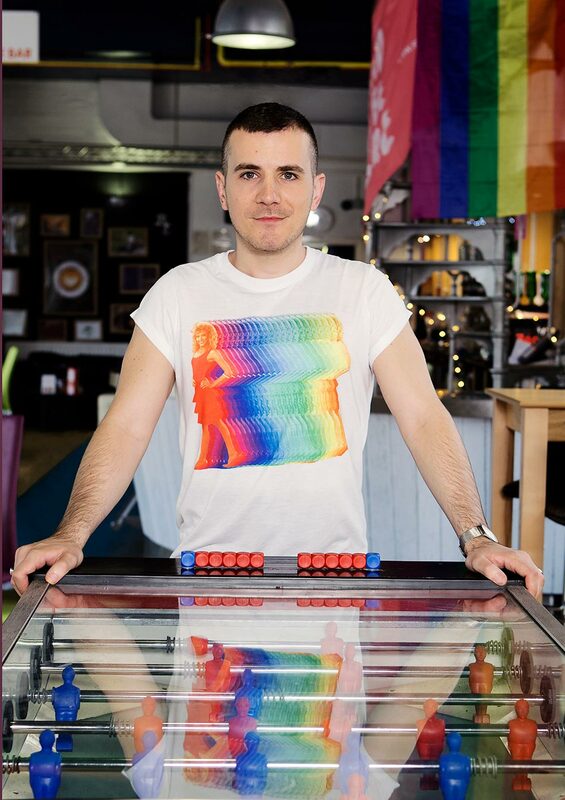 More than 150 people have now been featured and Tom has exhibited all over the UK, including London and Brighton Pride and at several universities. Now, Outcome is a beautiful book featuring 80 of the subjects. It’s been a huge hit with the gay press and was even featured in the iconic Attitude magazine. Last year, Tom launched his book at the university and scored Outcome’s biggest showing so far. “I was very excited to bring my work back to the university,” says Greenwich-born Tom. “The launch brought together hundreds of guests and we also organised talks with students and staff.